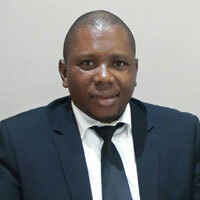 Greeco (Pty) Ltd was formed in 2014 by Bongani Godlwana. Greeco (Pty) Ltd, envisage being a reliable market leader in playing and advisory and complete competitive approach in professional services for its client base. The company is committed to achieving sustainable growth through the practice of good corporate governance; the provision of excellent customer service, and technologically advanced professional services solutions “at” the highest possible standards. Greeco (Pty) Ltd is a business that renders services to businesses that are in need of experienced, professional customized solutions in their environment who seek to be compliant with the laws and regulations in the sphere of Safety, Health and Hygiene and Environmental management, but mostly we tailor make our services to suit the client’s needs. Greeco (Pty) Ltd, envisage being a reliable market leader in playing an advisory and complete competitive approach in professional services for its client, focusing on achieving sustainable growth through the practice of good corporate governance; the provision of excellent customer service, and technologically advanced professional services solutions “at” the highest possible standards. Greeco (Pty) Ltd is a company that renders tailor made professional services for its client base. Company Values are a major component in the overall strategic framework of the company, and therefore play an integral part of the business allowing good corporate governance. • Quality: a commitment to quality service and safety at all times.